Self awareness for Valentine’s Day? Google reports an average of 400,000 searches each month for “personality tests”. It appears that Americans are fascinated with what is called ‘personality science’. Since Valentine’s Day is all about relationships and love, we would like to suggest that those who understand and know themselves have the most successful long term relationships, make good decisions, set appropriate goals and live more productive lives. Knowing myself means I have the ability to see how my emotions and thoughts influence how I behave and communicate. Self-awareness is not always pleasant, but necessary for emotional growth and for understanding both our weaknesses and our strengths. 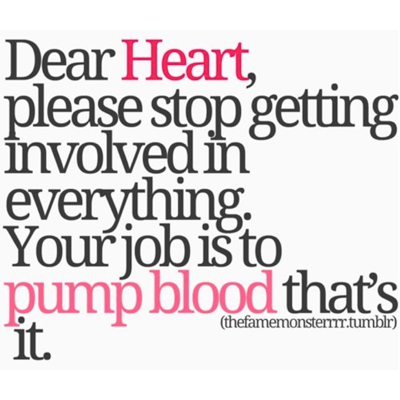 It should be an ongoing life-long process. There are excellent research findings, personality tests and evaluations for increased self-knowledge that are interesting to read and intriguing. We got you warmed up to this topic with our article about The Enneagram. It is a theory that uses nine core human personality types. Each type has a comprehensive description of inner motivations, thoughts, beliefs, strengths and weaknesses. The Enneagram is an interesting and well-respected personality evaluation. You can find the test on the website. Dr. John Gottman has researched relationships and couples since the 1970s. 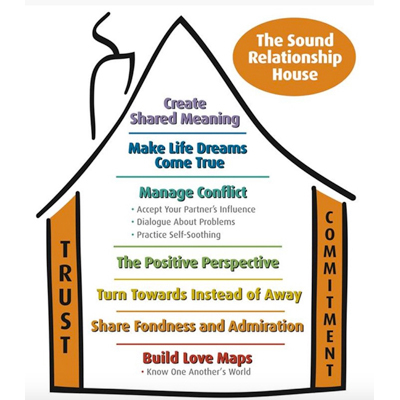 Dr. Gottman and his wife, psychologist Julia Schwartz-Gottman, founded the Gottman Institute in1996. There is a great deal of information on the site for couples looking to strengthen or improve their relationships. One of Dr. Gottman’s best-known divorce predictors are the negative interactions he calls the Four Horsemen of the Apocalypse (this is a Biblical reference to the four horsemen who were metaphors for conquest, war, hunger and death- all associated with the end of time). The first horseman is Criticism (as opposed to a complaint). A criticism attacks a character trait, not a specific behavior (“You’re so self-centered” vs. “You’re always late”). The second is Contempt (using sarcasm, eye-rolling or hostile humor). The third horseman is Defensiveness (turning the issue around so the person feeling criticized blames the criticizing partner). The fourth horseman is Stonewalling (one partner tunes the other partner out and does not respond). The point of this research is to show that conflict does not cause unhappy marriages, how it is handled does. It makes for thought-provoking reading. See a You Tube video about Gottman’s Four Horsemen of the Apocalypse. The Big Five Personality Test began to be developed in the 1930s by psychologists attempting to group the many dimensions of the human personality into major categories. The Big Five are: openness to experience, conscientiousness, extroversion, agreeableness and neuroticism. This is one of the personality tests, like the Enneagram, that you take yourself. 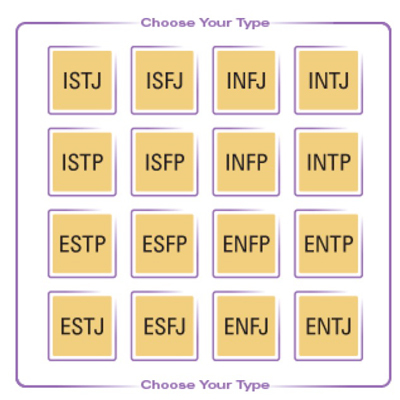 The Myers-Briggs Type Indicator is a questionnaire designed to indicate how the test taker perceives the world and makes decisions. It is based on Carl Jung’s theory of psychological types and was developed by a mother-daughter team in the 1940s. There are sixteen personality types. The Myers-Briggs test is often used in career counseling, professional and personal development, team building and leadership training. Certified Myers-Briggs administrators give the test and assess the results on an individual one-on-one basis. Real Simple magazine reports that 89 of the Forbes Top 100 companies use the Myers-Briggs Type Indicator to understand employees. There are also tests you can take on line that are not the official Myers-Briggs test but claim to be exactly the same. I have no idea if they are valid or not. Gary Chapman has been a marriage counselor for thirty years and he has developed a theory that there are five basic love languages. A love language is the way we express love emotionally. Each of us has a primary love language and to help our relationship we must learn to speak each other’s love language. We each express and receive love differently and each couple needs to understand the differences. The love languages are Words of Affirmation, Acts of Service, Receiving Gifts, Quality Time and Physical Touch. The test is easy to take, doesn’t take much time and is informative. Other areas of self-study include astrology which tells us how the positions of the stars and planets will influence our lives. There is also Ayurveda which tells us about our ‘fundamental energy’ (‘dosha’) that governs everything about us from personality to health. Finally, we wrote an article about introverts, extroverts & ambiverts last October that falls into the self-awareness category and you might find it interesting. Happy Valentine’s Day from A Sharp Eye! Should You be Taking an Aspirin a Day?